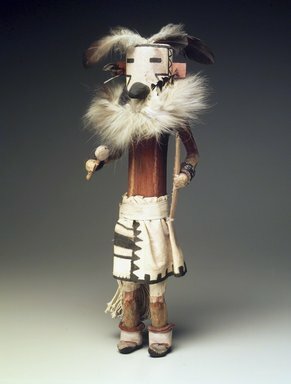 Tall, thin kachina doll painted russet red. He wears a cotton dance skirt, large feather ruff and feathers on top of his head. He carries a dance stick (or flute) and rattle.